Heeey everyone! How've ya been? 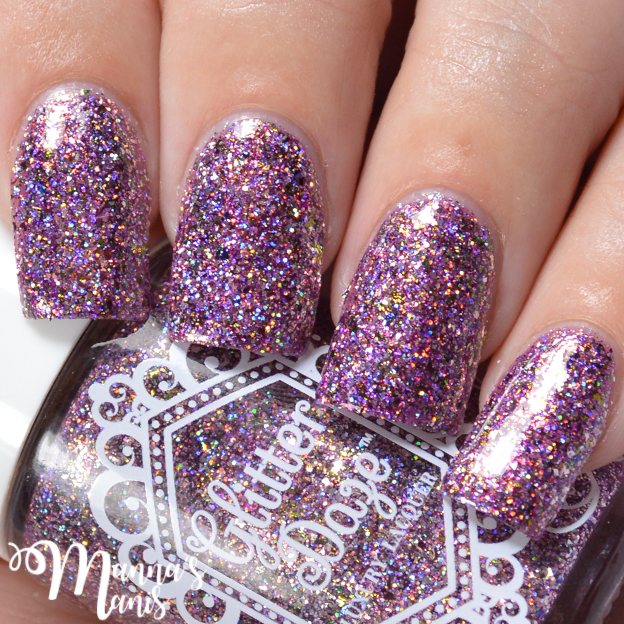 I've had strep throat since last week and it's put me soo behind on swatching/blogging. 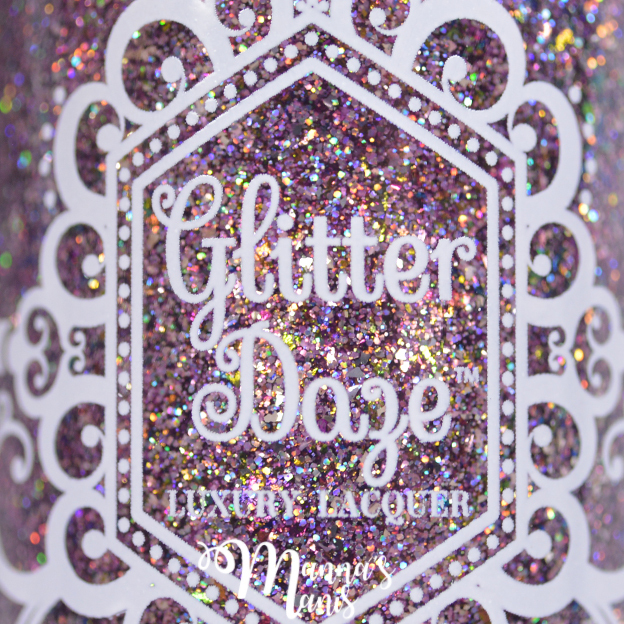 I finally got to catch up today, so be prepared for so many swatches in your future. 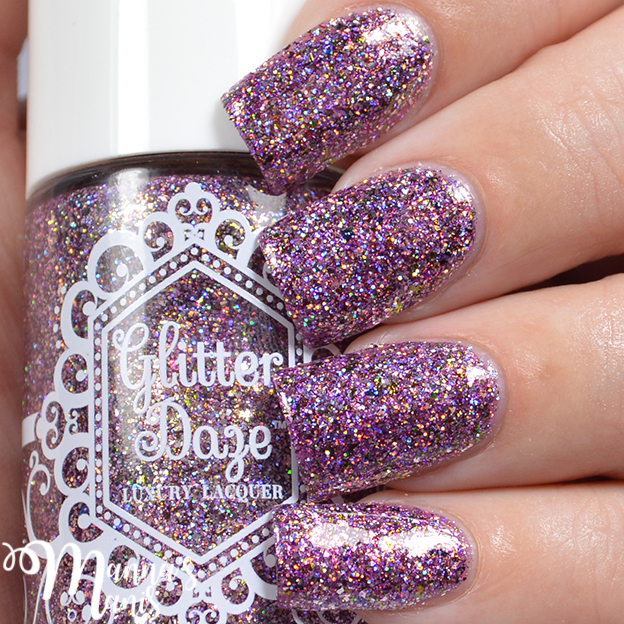 Today I have the April DOTM from GlitterDaze to share with you all. 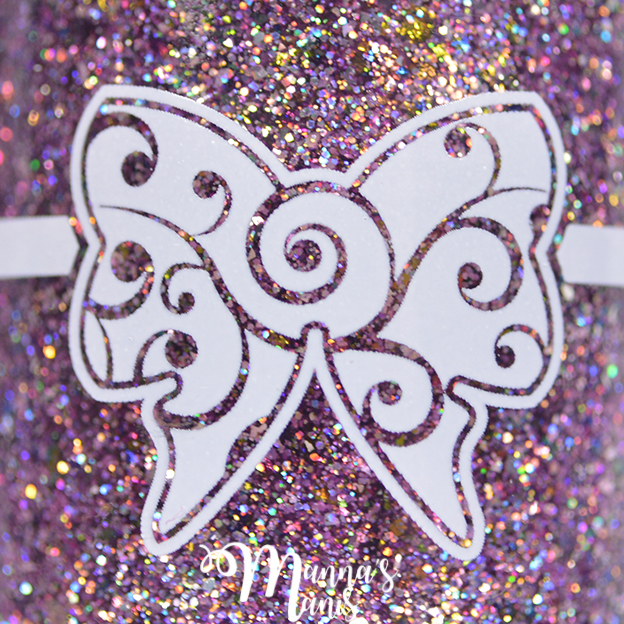 The Art of Divination is described as a mauve toned purple jelly base filled with pink/orange/green color shifting flakies with sterling silver flakes and silver holographic microglitters. Shew..what a mouthful huh! 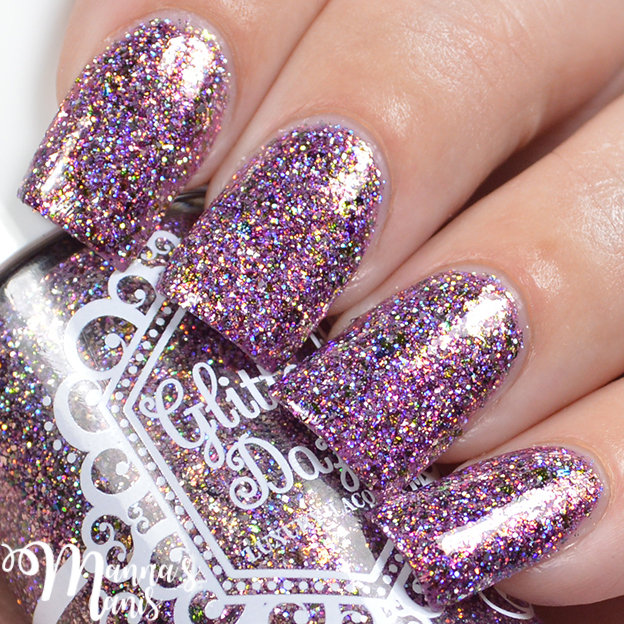 This polish is absolutely s-t-u-n-n-i-n-g! I chose to brush it on normally, but sometimes it's best to use a sponge and dab on each coat to avoid bald patches. My swatches below show 3 coats with top coat. This months free gift is two "Trelawney's Tea Leaves" sachets. 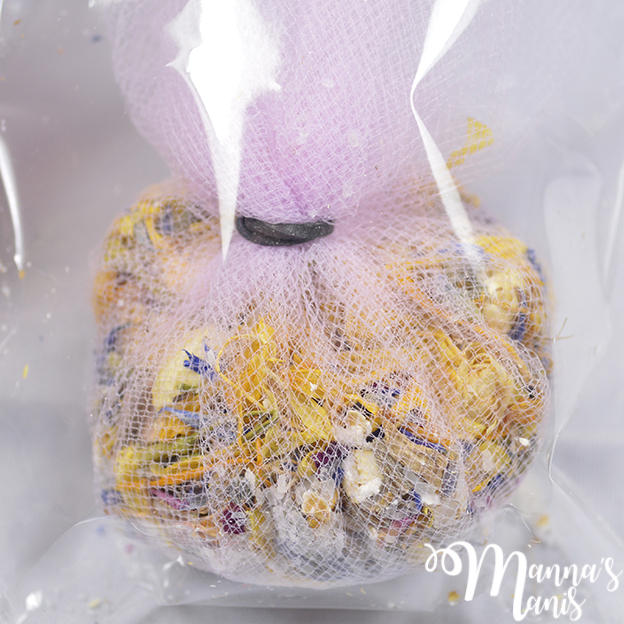 They're filled with dried lavender, calendula, jasmine, rose, blue cornflowers, epsom, and oatmeal. Smells divine! Use for a foot soak or floral bath. I left them in the package because my dogs assume everything is for them to eat so I didn't want them to get ahold of it! 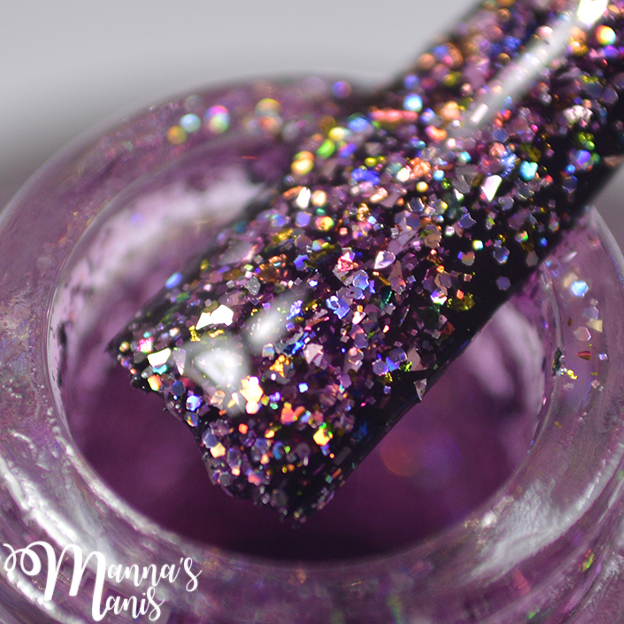 This polish is only available until the end of April!